The convenient scroll-wheel certainly is a godsend. It's furnished with a miniSD card slot. 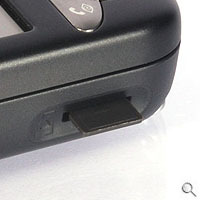 As the world's first 3G PDA-phone that offers HSDPA (High-Speed Data Packet Access) connectivity, it goes without saying that the HTC Hermes was one of the most highly anticipated devices prior to its official launch earlier this month. For the uninformed, the materialization of HSDPA technology within the HTC Hermes heralds the arrival of a near six-fold speed improvement over current wireless network infrastructure, or what is mostly referred to as 3.5G technology. Seeing that even 3G has yet to be deployed in most countries, the arrival of the HTC Hermes might seem a little premature as there is virtually no market in demand of HSDPA handsets. Countries with 3G networks are expected to only integrate HSDPA towards the latter months of 2006, which given the traditional hurdles of red tapes that are expected with the introduction of new technologies, demand for HSDPA handsets is unlikely to soar to a feverish pitch anytime soon. 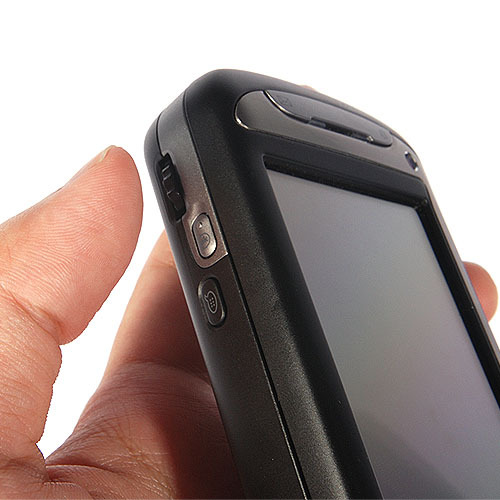 Nevertheless, PDA-phone users who typically have an enduring bond with their devices could future-proof themselves by investing in this cutting-edge device now. Using a typical matte-black surface that's decked with silver buttons, the Hermes doesn't offer anything revolutionary in the areas of aesthetics and build. 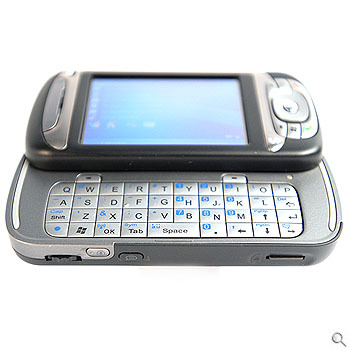 In truth, there is nothing outrageously different about the HTC Hermes that the older HTC Wizard didn't offer; the stylus compartment, power jack, the 2.8-inch LCD screen, the slide-out keyboard and even its beefy 112.5 x 58 x 21.95mm dimensions are almost completely identical to the Wizard. It's only when internal components are examined does the Hermes stand out as a significant upgrade to the Wizard, with HSDPA and 3G specifications leading the charge. One of the more notable improvements introduced to the Hermes is an improved QWERTY sliding keyboard. Engineered with responsive keys that are ergonomically spaced out, the keyboard doesn't disappoint and even comes with a smart sensor to detect if the cool-blue backlight is needed. A quick side-by-side comparison of the Hermes against the Wizard convinced us that the improvements made to the Hermes keyboard were ergonomically driven. A small gripe however, was just how tightly clustered the 'number pad' was - quick numerical entry might prove to be a stutter. In addition to the improved keyboard, a godsend in the form of a fully functional scroll wheel (think Blackberry!) dramatically eases navigation within Windows Mobile 5.0. 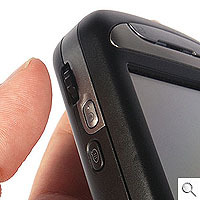 Unlike pseudo jog-dials that are limited to a certain degree of rotation, the scroll-wheel has free rotation for painless and more intuitive scrolling when reading scanning pages off the web via the onboard Wi-Fi connection. 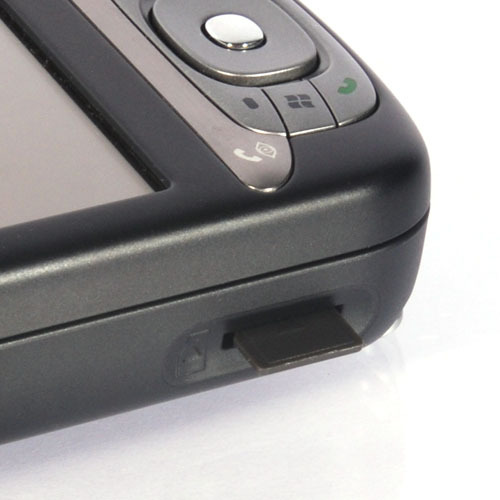 The scroll wheel also serves as a button as well. Cosmetic improvements aside, what really makes the Hermes shine are its HSDPA compliance and the onboard Samsung 416 MHz processor. With potentially up to six times the bandwidth provided by the former, we were glad that HTC made the right choice by fitting the Hermes with a fast processor. Not only is it needed to process an increase in data throughput but it also meant a more responsive experience with Windows Mobile 5, which was evident by instantaneous response when accepting incoming call and changing screen orientation. The beefy processor also bodes well for PowerPoint Mobile and the new graphics and table options that are new to Windows Mobile 5. 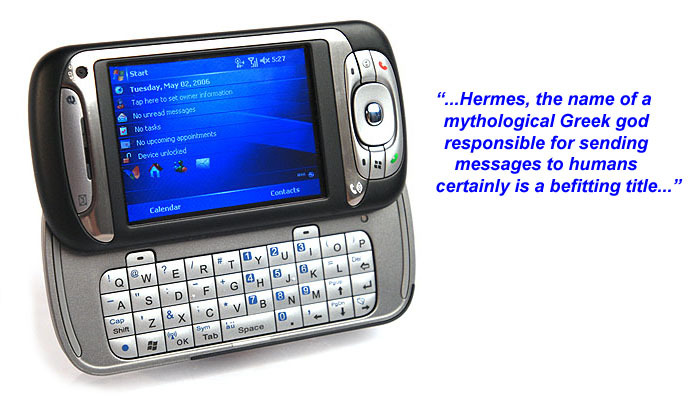 Named after an ancient Greek god, the Hermes PDA-phone shares a similar characteristic with the mythological god himself - imperfection. 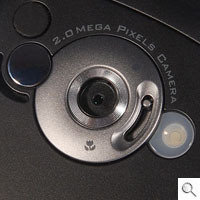 What we thought unnecessary was the inclusion of a new manual macro button residing beside the camera lens. Mapping the function to a flimsy manual switch did not yield noticeable improvement in performance. If anything, it was more of a hindrance than convenience, as too many a time the switch would simply be flicked unintentionally to the wrong position. The final gripe we had with the Hermes was a slightly shorter then expected battery life. With moderate use, our unit required charging every other day. This could well be due to the engineering sample we had and not definitive of the actual battery performance of retail units. By spending less time on overhauling a proven industrial design and choosing instead to improve upon architecture and specifications, HTC has delivered a PDA-phone that is more able than before to satisfy power users. With solid core improvements that list an improved QWERTY keyboard, convenient scroll-wheel, HSDPA and a speedy processor, it seems HTC has had all bases covered with the Hermes. Packing such strong ability to build a bridge of communication that's close to perfection, Hermes, the name of the mythological Greek god responsible for sending messages to humans is certainly a befitting title for a PDA-phone such as this. 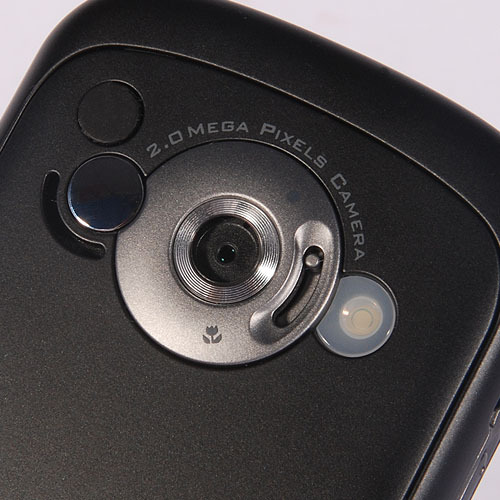 *The HTC Hermes has since been rechristened as the HTC TyTN (Titan) prior to product launch.